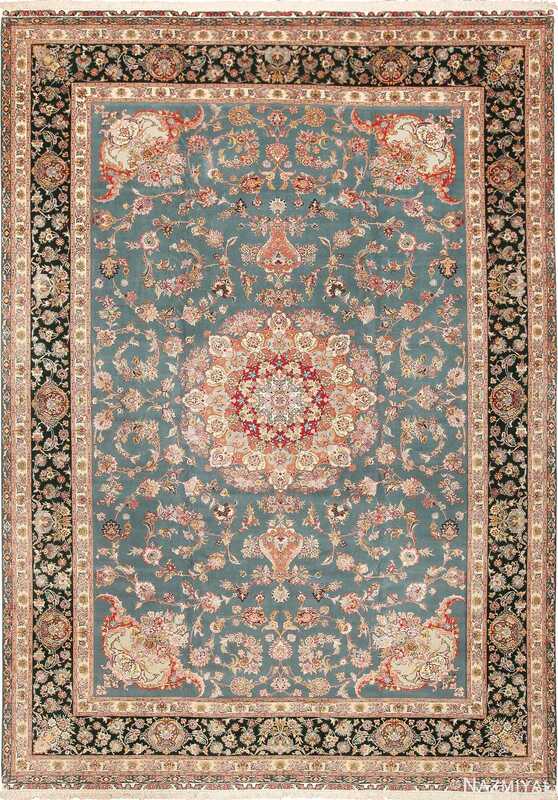 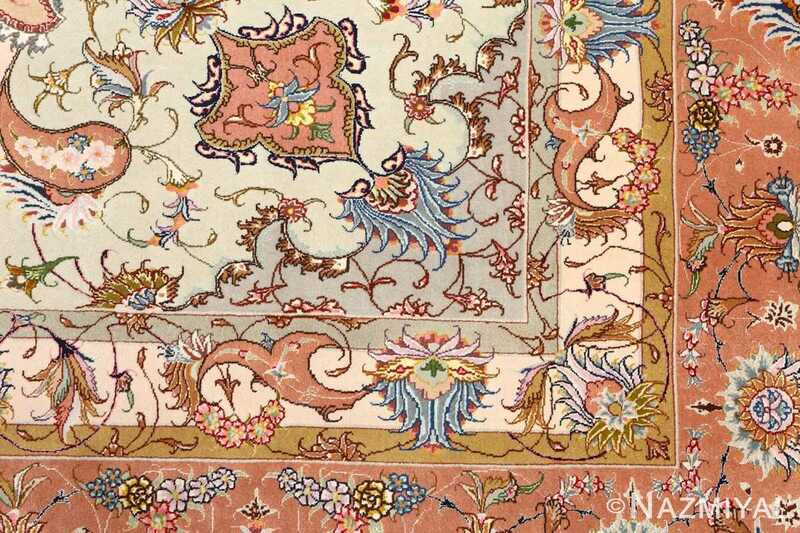 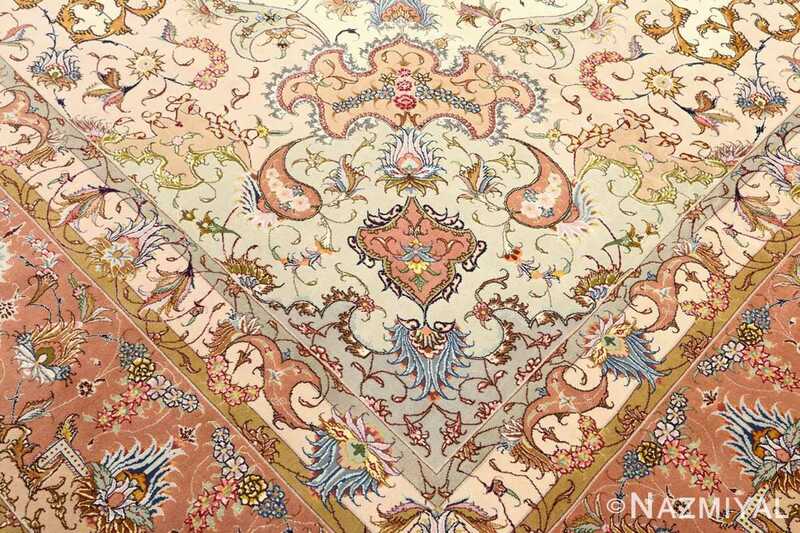 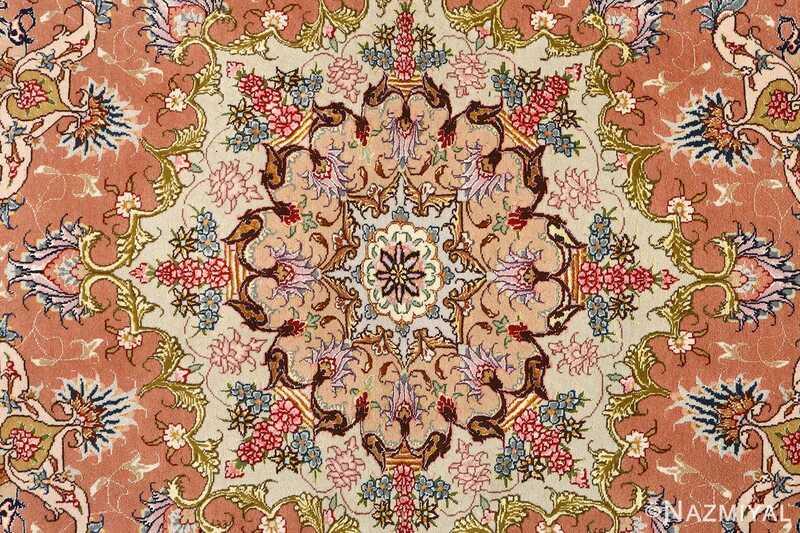 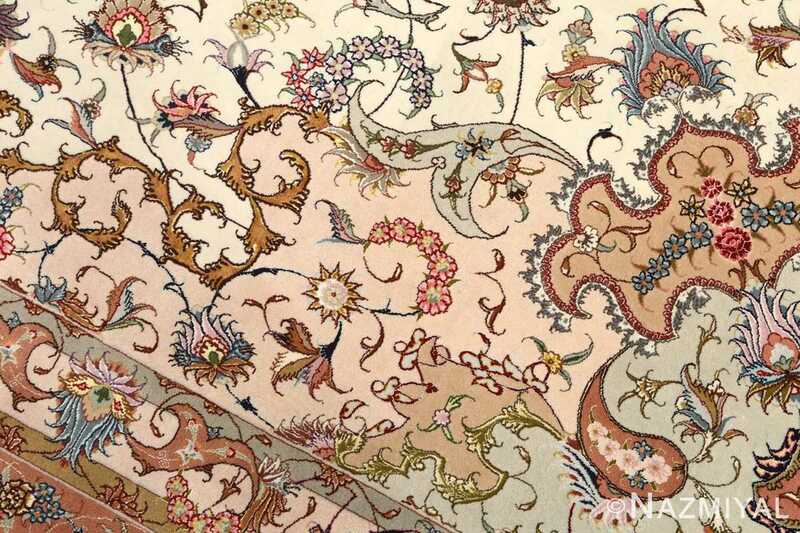 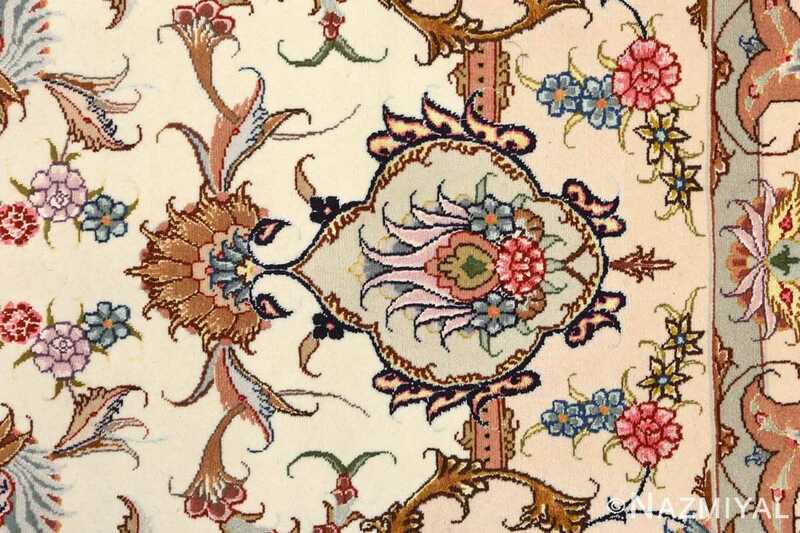 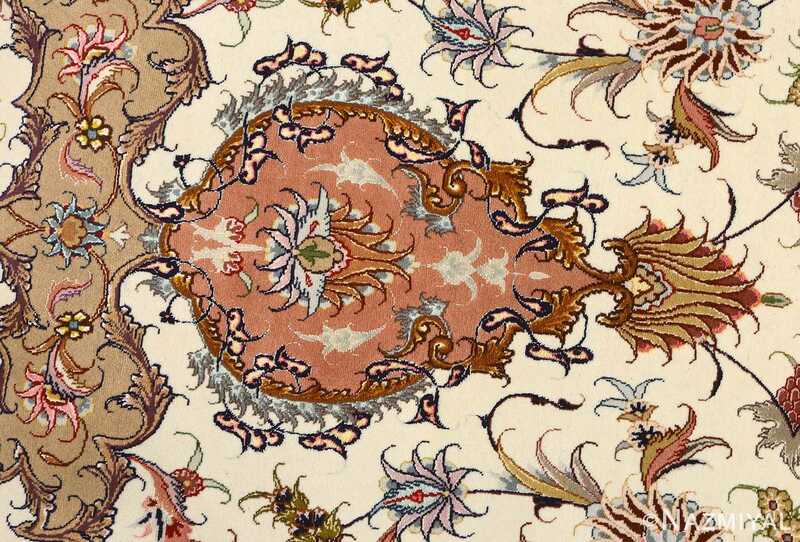 Intricate Large Vintage Tabriz Persian Rug 51142, Knots Per Square Inch KPSI: 500, Country of Origin / Rug Type: Vintage Persian Rug, Circa Date: Late 20th Century - Intricate details abound in this wondrous vintage Persian Tabriz rug masterpiece. 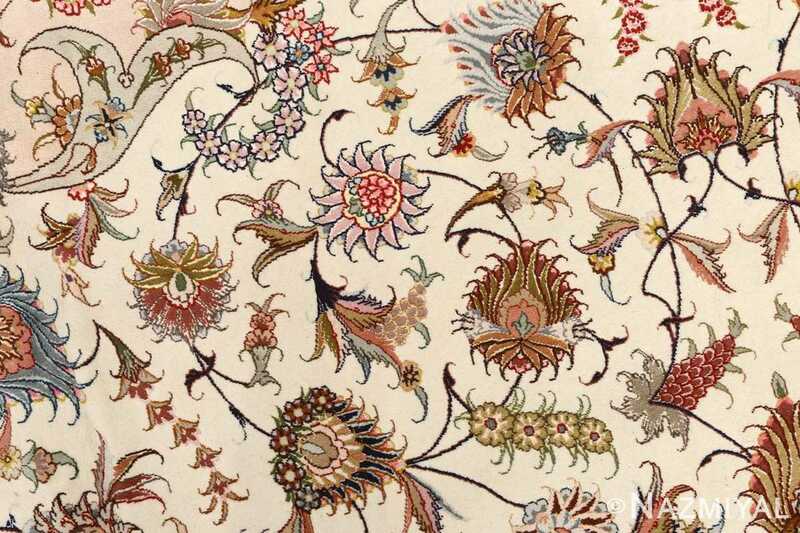 Countless forms stand against each other and with each other in a beautiful dance of contrast and composition. 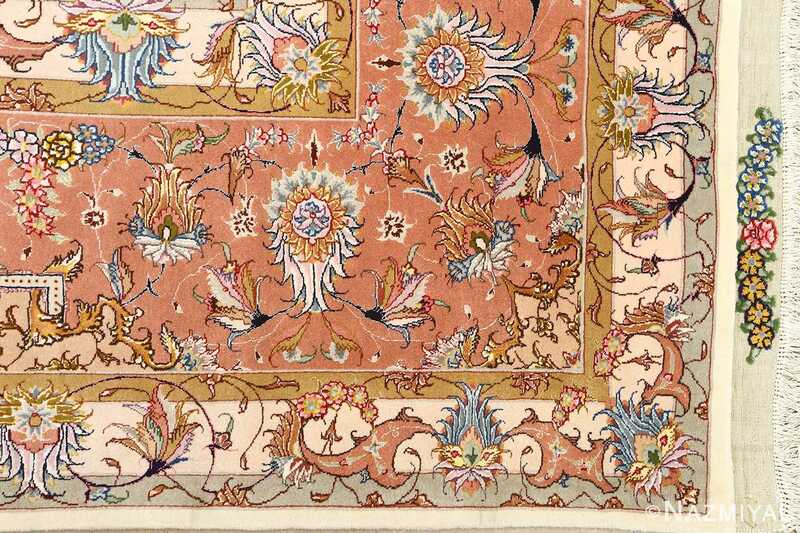 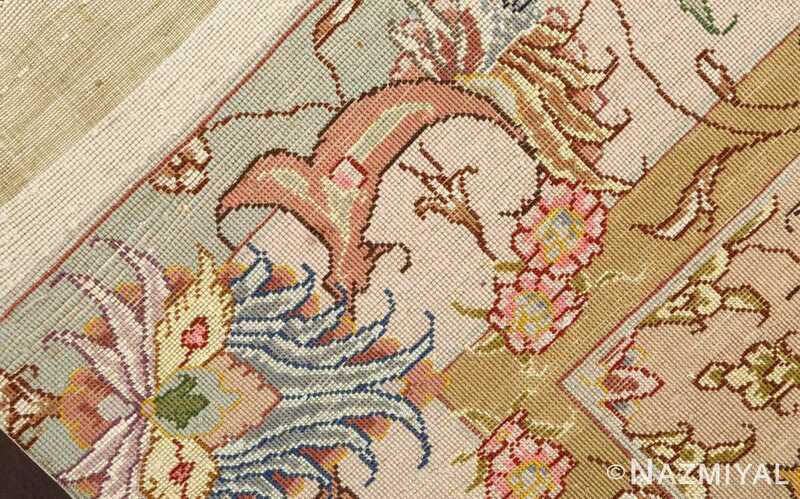 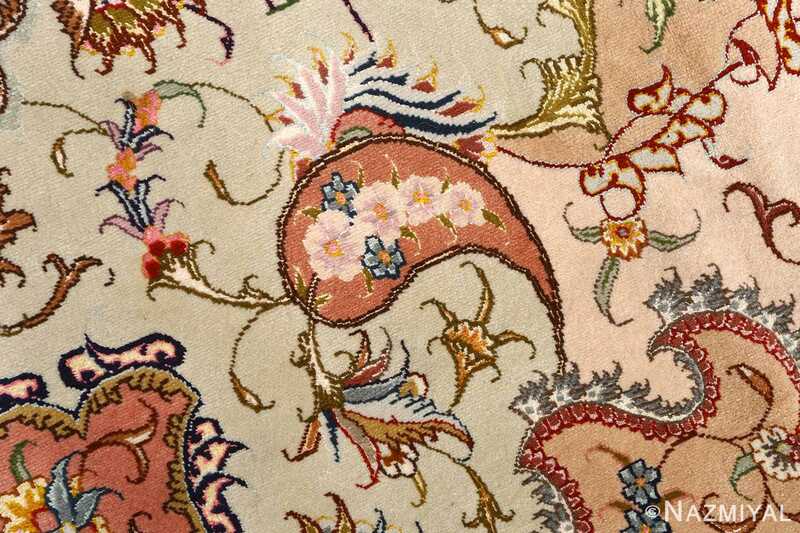 The foreground of the piece is filled with minute details that help characterize the larger landmarks, particularly those that define the space around the borders of the vintage Persian rug. 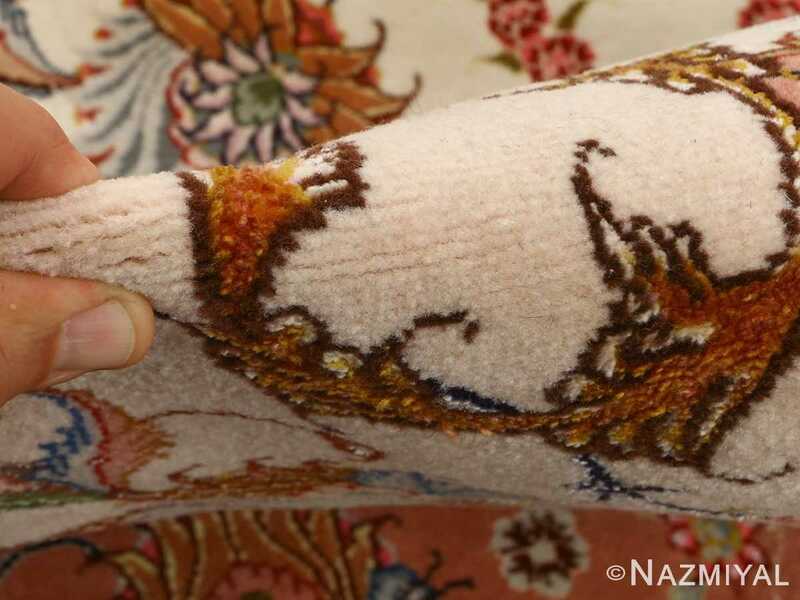 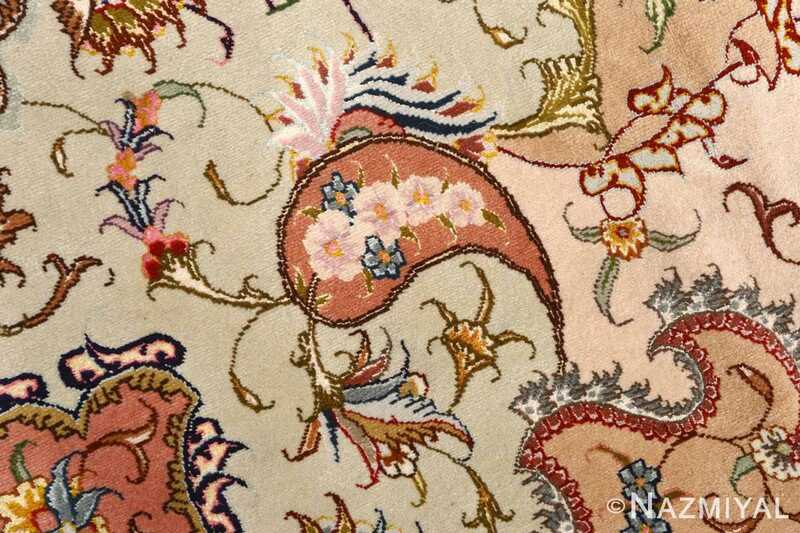 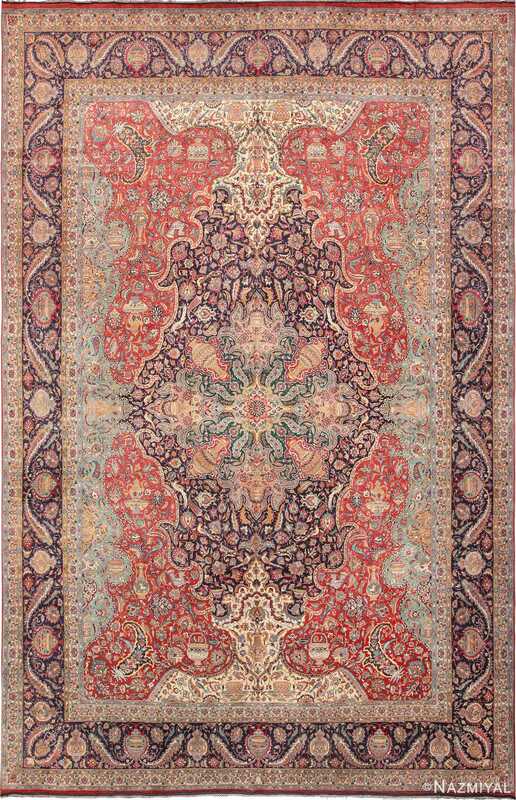 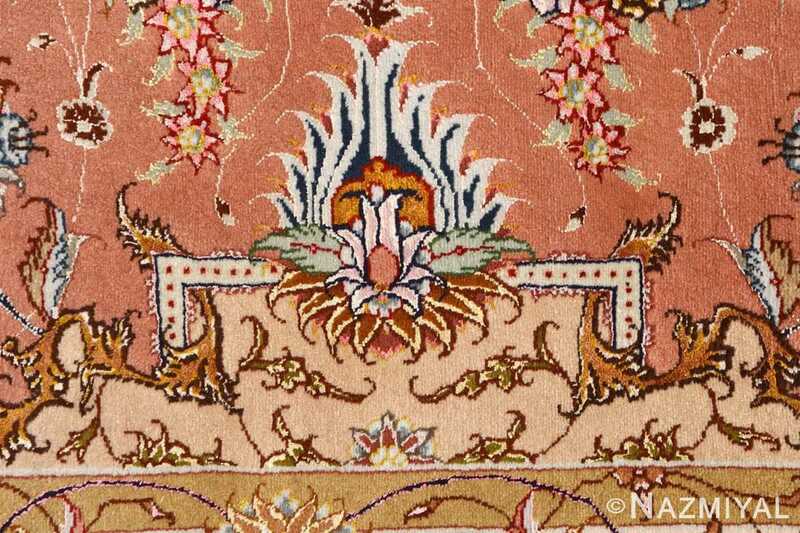 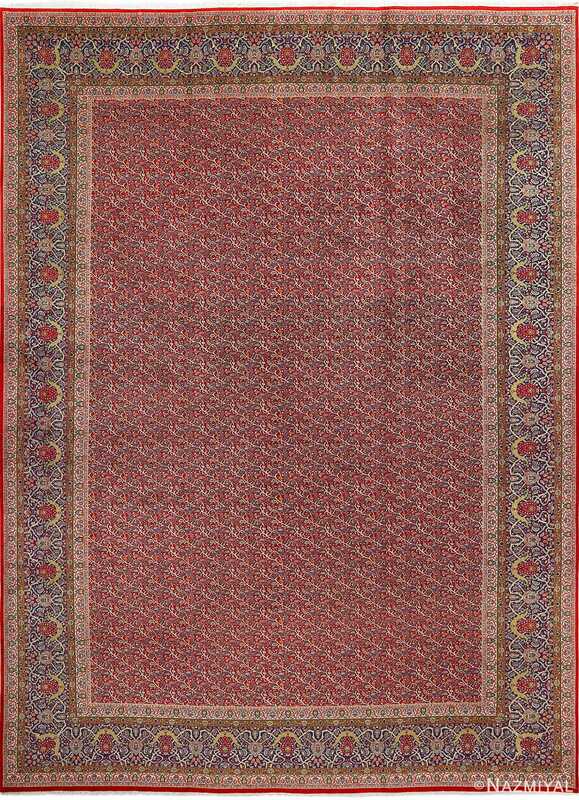 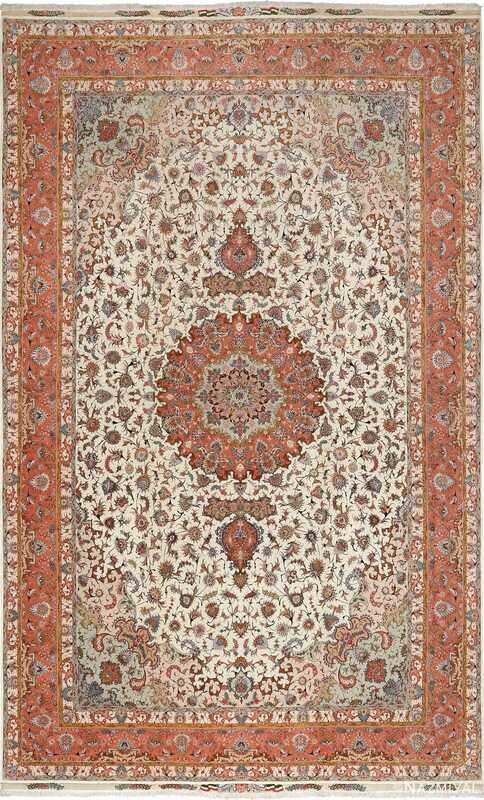 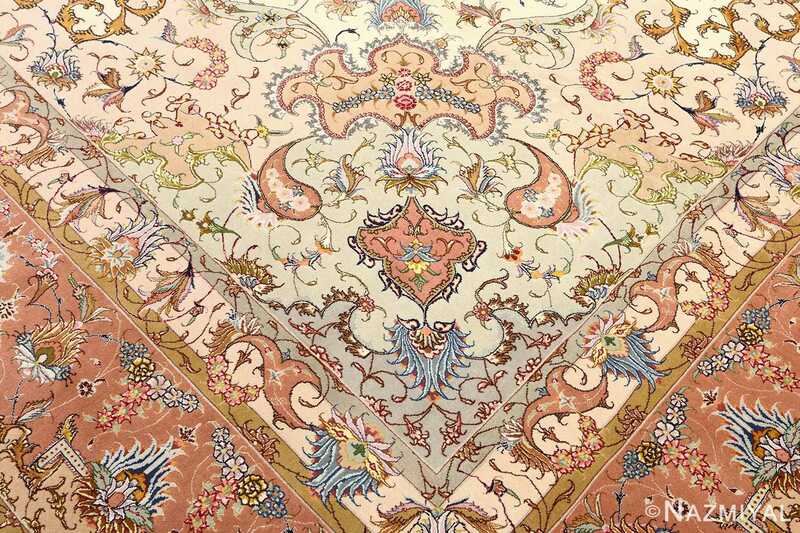 Warm and inviting colors work well with the earthy tones used for the elements at the heart of the Oriental rug. 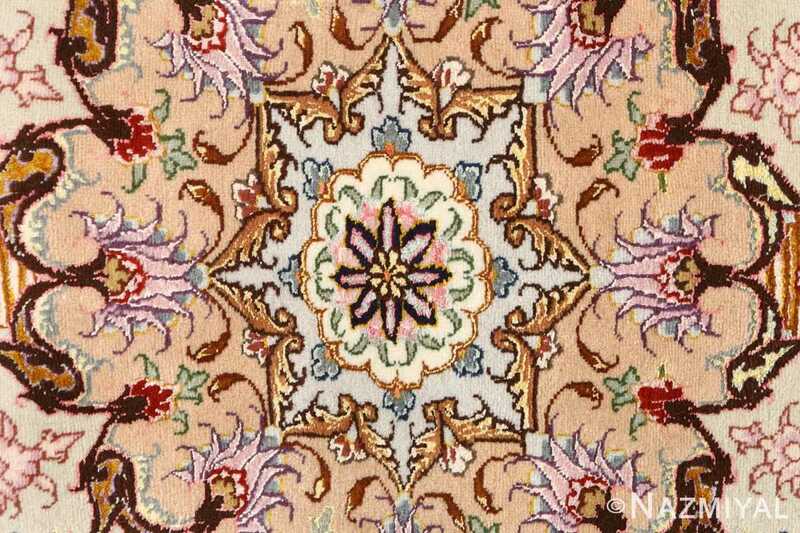 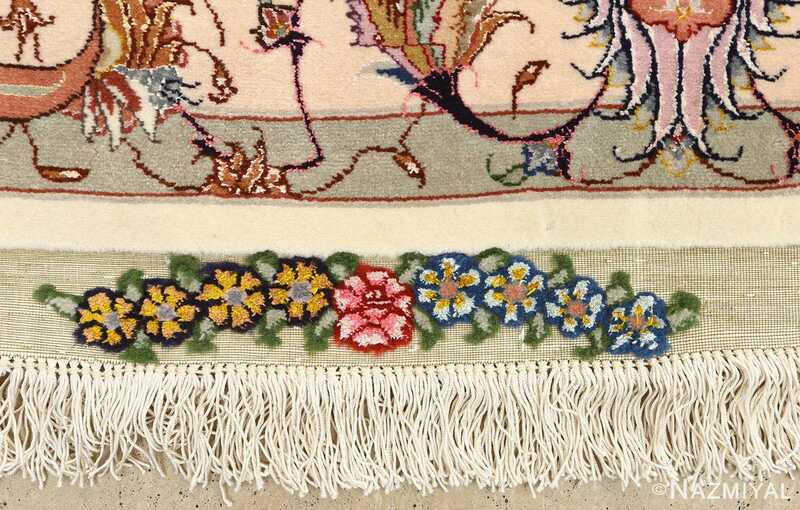 The rich, grounding border is surrounded on both sides by floral outlining layers, and many of the tones are kept uniform in order to add even more value to the massive bloom set at the core of the vintage rug.